It’s award week for pCloud! We’re celebrating two new awards. 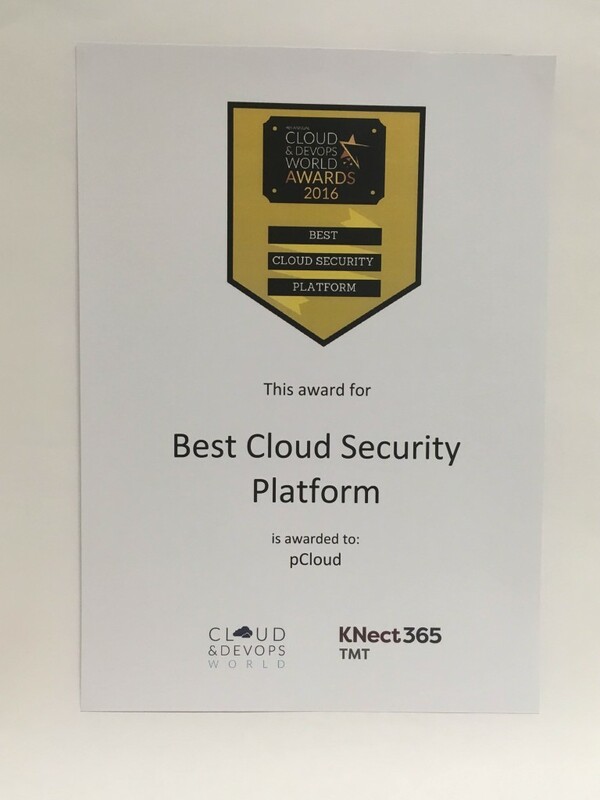 We just received the news that pCloud won first place for Best Security Cloud Platform in the 4th Cloud & DevOps World Awards. What makes this award so valuable to us is the fact that it is given to security solutions that combine efficiency, cost-effectiveness and ease of use. And, as you can already guess, we’re more than happy to see that our efforts to bring top-grade file privacy through pCloud Crypto were acknowledged once again. 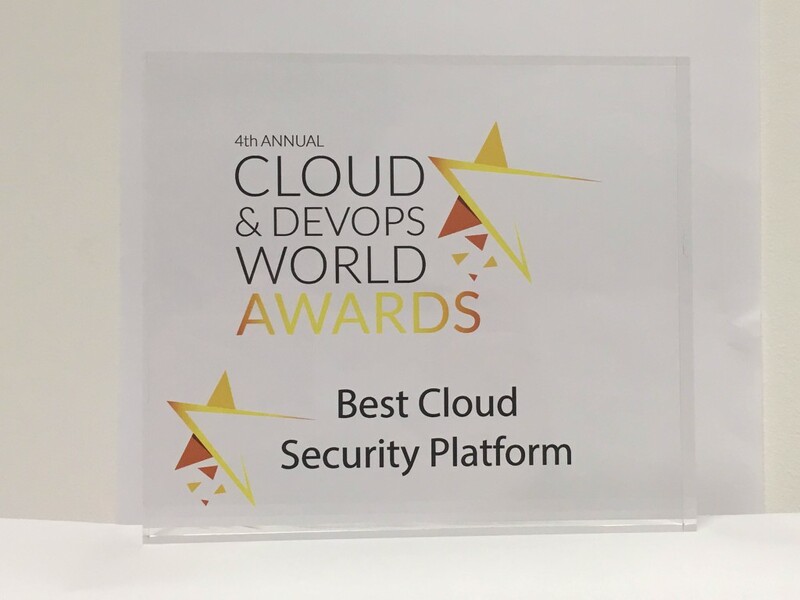 We’d like to take this moment and thank the awesome Cloud & DevOps team and the organizations behind the award ceremony for the pleasant surprise. Cloud and DevOps World 2016 is part of the Knowledge & Networking Division of Informa PLC. This year’s edition focuses on the strategies, business models and technologies which can activate the cloud and drive new opportunities for organizations of all sizes. 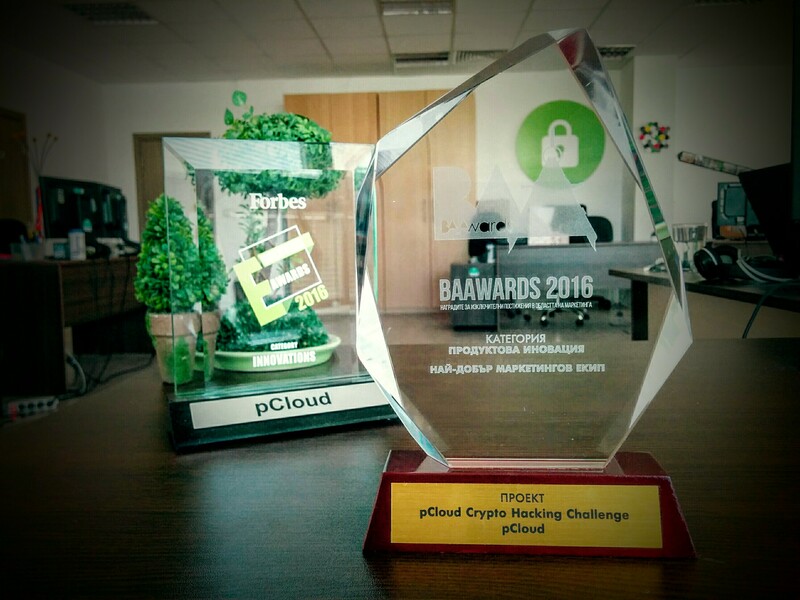 But that’s not all: the pCloud Crypto Hacking Challenge was chosen as one of the most innovative and effective campaigns by the Bulgarian Association of Advertisers for 2016. Kudos to our marketing team as well, who won the Best Marketing Team award in the category: Product Innovations in the 2016 BAAwards. Haven’t tried pCloud yet? Register now and ensure maximum security for your confidential files through pCloud Crypto.